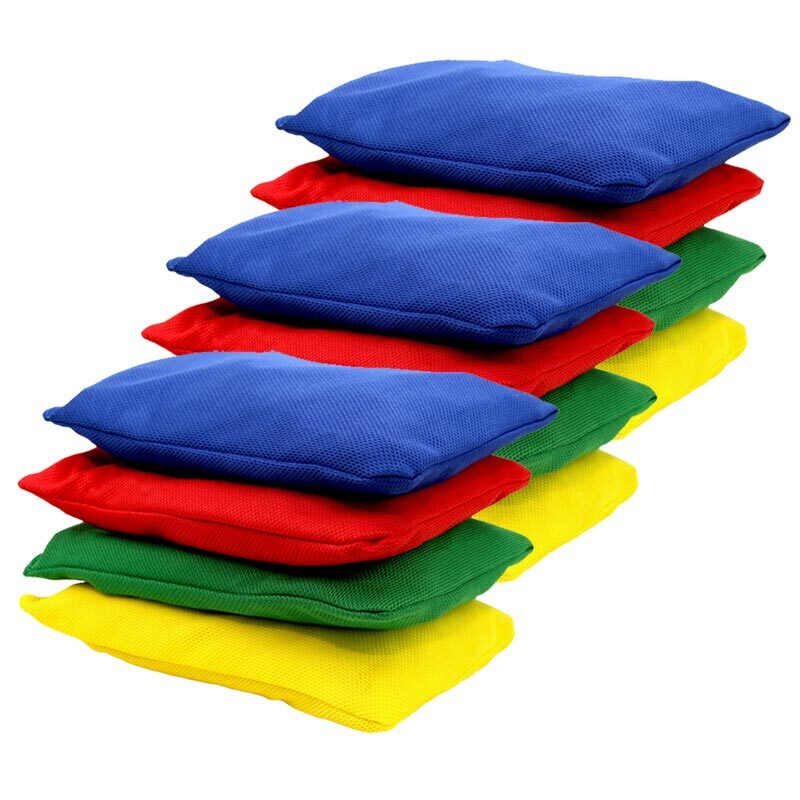 Set of 12 First Play ® Original Bean Bags are made from double stitched strong polyester. Perfect for throwing and catching and can be incorporated into a variety of target games and activities. 3 x Red Bean bags. 3 x Blue Bean bags. 3 x Green Bean bags. 3 x Yellow Bean bags. As advertised, good product for good price. No complaints at all. Excellent quality and value for money. Great customer service. Bean bags exactly as described - of strong and durable construction. Delivery very prompt. Great! Nice set of beanbags for a reasonable price. Will be great for our wedding garden games. These bean bags are exactly as described and seem to be quite durable, time will tell. I would buy them again and found Newitts service and speed of delivery excellent. Good value for money. Good size and quality good too. 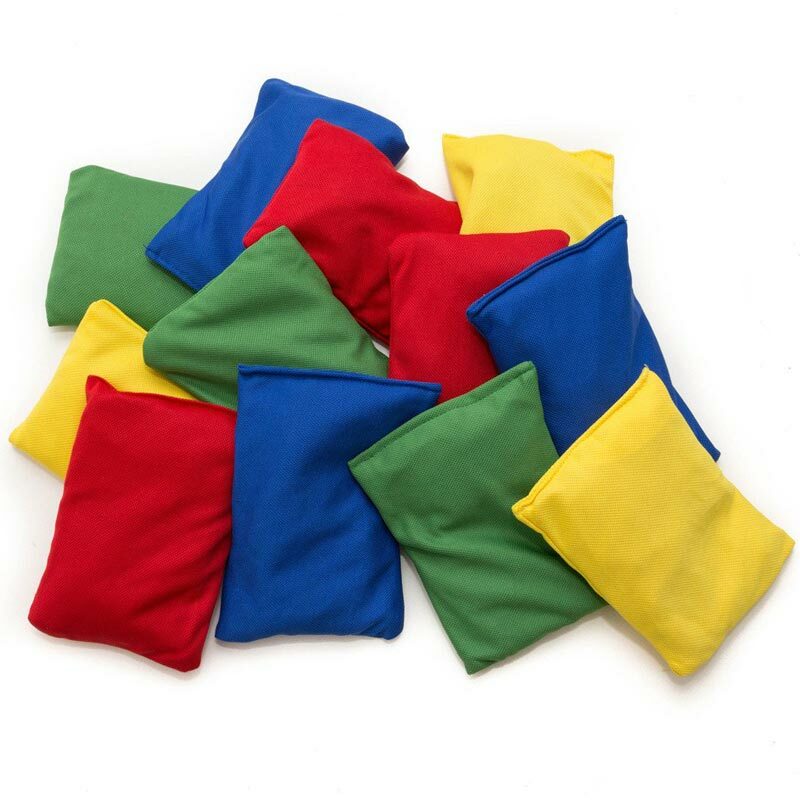 We use these beanbags in our Rugbytots Classes for catching exercises. As our age range is 2-7yrs they need to be durable, which this product provides..
5 out of 5 Great beanbags! Very happy with these :) Actually used for an art installation but am sure they would be great to use for activities too!